Deter shoplifters and other potential thieves with an anti-theft sign. These signs can be placed in prominent locations throughout your establishment, in your front window or yard area. 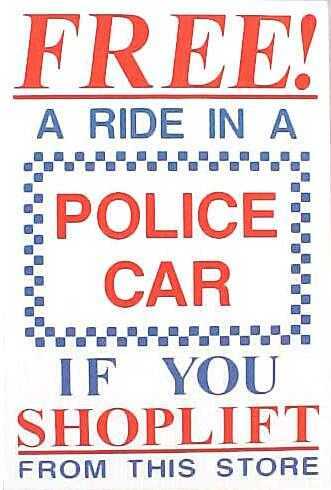 Place our #1 seller, "FREE Ride in a Police Car" near your entrance and exits to warn shoplifters that you take theft seriously.